Days after a BJP MLA said the portrait of Tipu Sultan would not be allowed at the Delhi Assembly, Speaker Ram Niwas Goel today said there is no question of removing it. NEW DELHI: Days after a BJP MLA said the portrait of Tipu Sultan would not be allowed at the Delhi Assembly, Speaker Ram Niwas Goel today said there is no question of removing it and alleged that it was the BJP's habit of creating controversy over every issue. Goel said if someone removes the portrait of Tipu Sultan from the Martyrs Memorial Gallery of the Assembly, he would take strict action. Chief Minister Arvind Kejriwal had on Republic Day unveiled portraits of 70 eminent personalities, including that of Tipu Sultan, at the Delhi Assembly. Goel told newspersons that all the portraits were put on display for two weeks before their formal unveiling and wondered why the BJP did not raise the objection then. "I never shared the list of 70 portraits, neither with the ruling party MLAs nor with the Opposition members. 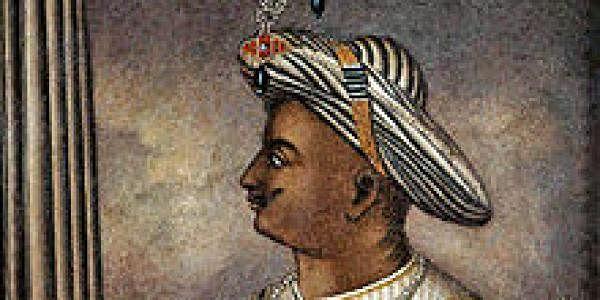 Also, I never received objection from the Opposition about the portrait of Tipu Sultan," he said. Goel said the General Purpose Committee of the Assembly, headed by the Speaker, had taken a decision to install portraits of 70 individuals, comprising freedom fighters, revolutionaries and heroes of the country. "There is no question of removing the portrait of Tipu Sultan. It is the habit of BJP to create controversy on every issue. "The Constitution of India also carries a picture of Tipu Sultan on the page number 144 of Chapter 16. So either the people, who had written the constitution, were wrong or they (BJP) are," the Assembly speaker said. According to Assembly Secretary Prasanna Kumar Suryadevara the General Purpose Committee looks after general issues like amendment in rules and augmenting of facilities. On Sunday, BJP MLA Manjinder Singh Sirsa had said the portrait of Tipu Sultan would not be allowed to put on display at the Delhi Assembly, alleging the Mysuru ruler was a "tyrant" who "forced" four lakh Hindus and Christians to embrace Islam. Leader of Opposition Vijender Gupta had rued the AAP government did not consult him before installing the portraits. He had said Karnataka witnessed a major clash in 2015 over celebration of Tipu Sultan Jayanti in the state. "After protests in Karnataka, such a controversy should not have been repeated. The Delhi government should have avoided the misdeed," Gupta had said, adding, "The Delhi government wants to keep the controversy alive."